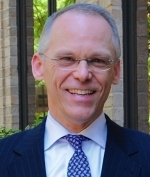 Manfred is a 1982 graduate of Tulane University and a 1985 graduate of LSU Law School. He has been practicing law in Houston, Texas for over 30 years maintaining an active civil law practice focusing on commercial litigation and corporate counsel. Manfred has been Board Certified in Consumer and Commercial Law by the Texas Board of Legal Specialization since 1993. He has experience dealing with a broad range of business operations issues and representing businesses and consumers in a variety of legal matters. Manfred has a great deal of practical business experience as he has participated in founding a number of successful public and private companies with management roles that range from General Counsel to CEO. It is those years of practical business experience that sets Manfred apart from other lawyers who provide counsel to business owners. company served over 1,500 independent physicians and hospital systems. Appointed by Governor Rick Perry, Manfred successfully completed a two year Pro Bono Texas Gubernatorial appointment as the first Chairman of Board of the Texas Health Services Authority. In 2006, Manfred founded the iHealth Trust (a multi stakeholder 501(c) 3) created to serve the role as the Houston region's neutral non-stakeholder governing body for health information exchange centered on the Patient/Consumer. It is focused on delivering a health record banking model of HIE using commercial for profit partners. From 2007-2013, Manfred served as Chairman of the Business Development Sub-Committee for the Healthcare Advisory Committee of the Greater Houston Partnership.